Combine all ingredients in a tall glass with ice. Stir. 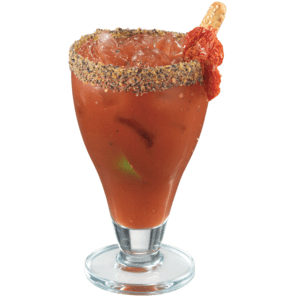 This premium blend is based on the same scratch recipe that brought the Bloody Mary worldwide fame nearly a century ago – tomato juice, black pepper, pure lemon juice, and a delicious blend of savory spices. Why mix 10-12 ingredients for a single cocktail when Finest Call brings them all together in one Bloody Mary mix? Finest Call's reach is far and wide, and we'd love to connect with you. Follow and subscribe to see why bartenders and mixologists all over the world trust Finest Call.